^ Quickfacts.census.gov - Russell County - accessed 2011-12-06. ^ Quickfacts.census.gov - Phenix City, Alabama Archived 2012年6月9日, at WebCite - accessed 2011-12-06. 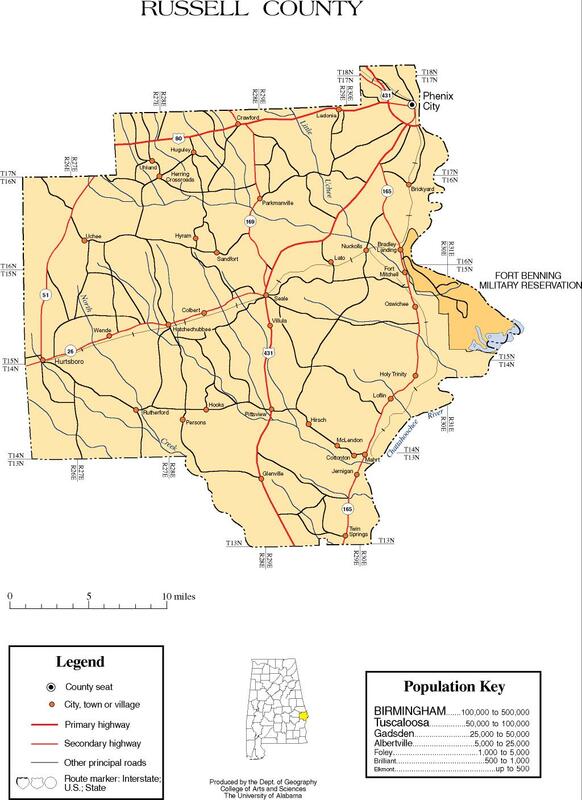 Russell County map of roads/towns (map © 2007 University of Alabama).